Here you can easily keep up with the latest additions to how alien influence is at work in so many spheres of your life. From the obvious sightings and contacts, to the less well-known, shadowy aspects, all you have to do to subscribe is click on the orange button below the buttons on the left. Vimanas, the Sanskrit word associated with UFO's are mentioned in the ancient texts. Continue reading "Contribute to Alien Influence"
Crop circles are always fun to look at, but what are they? Crop circles started off as simple shapes, but have become far more complex. The question is, why is this so and has it anything to do with aliens? Continue reading "Crop circles are always fun to look at, but what are they?" Alien encounters make for good films, but the truth is they have happened throughout history and are still happening today. Continue reading "There have been alien encounters throughout history"
Is there an alien agenda? Are all aliens our friends? Claims of an alien agenda suggest that they have plans, for us and for the earth. Could this be true? Continue reading "Is there an alien agenda? Are all aliens our friends?" A real alien might be good deal more difficult to prove than you would think at first. After all, what makes an alien real to begin with? Use this alien search function as a quick and easy way to find your way around our website. 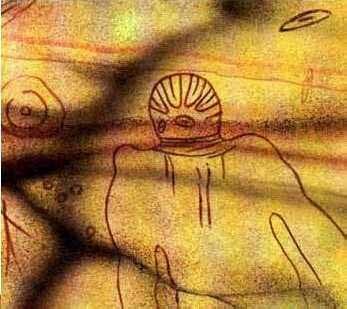 Continue reading "Alien Search Page"
Ancient astronauts have long been thought to have visited the Earth. But how feasible is that?